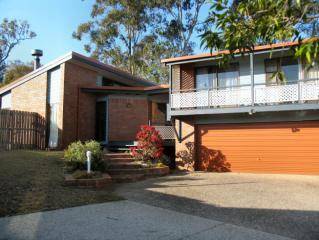 Our home is a large two level timber. Queenslander, with shady covered verandahs, a beautiful garden and a salt water swimming pool. It's full of light, cool and airy. Downstairs, with its own bathroom, kitchen and laundry and sitting room, is perfect for older children and teenagers who need their own space. At the back gate is a huge parkland, with a tidal creek and bike path which leads to the city and many other parts of Brisbane. We have bikes for your use, and a car if desired. Our family (for travel purposes!) consists of Phil (an anaesthetist at the nearby teaching hospital), Pamela (a barrister), our 16 year old daughter (Ellie) and our two year old Isobel. Our home is also home to Maggie, our six year old golden labrador and our goldfish, Kepernicus. We would love you to care for them while you are here but, if this is not possible, they can stay elsewhere. 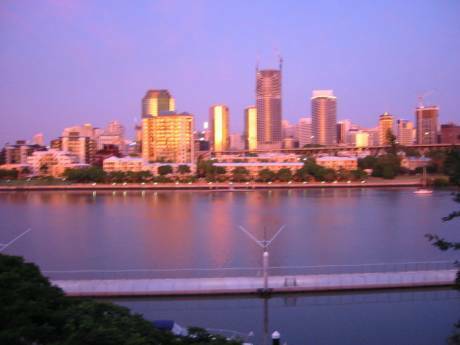 Kelvin Grove is an inner city Brisbane suburb only four kilometres from the centre of the city. It is surrounded by excellent restaurants, cinemas, theatres, the casino, parklands and sporting facilities. 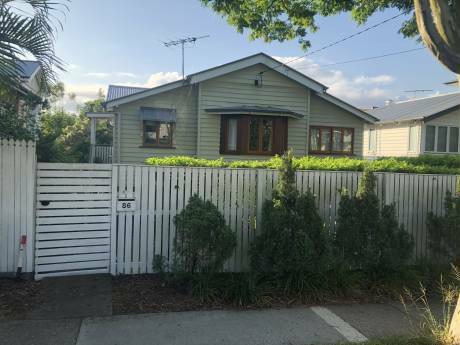 We are only an hour (60km) away from the famous Gold Coast and Sunshine Coast surf beaches, theme parks and beautiful hinterland areas for picnicking, bushwalking, camping, wine tasting and other outdoor activities. For the more adventurous, the Barrier Reef is only an hour's flight away.